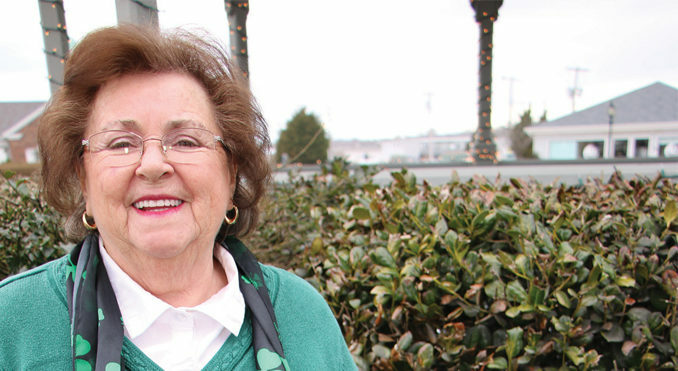 As secretary of the Montauk Friends of Erin for the past 17 years, Kathy Keller has helped with numerous St. Patrick’s Day Parades. But this year, instead of being behind the scenes, she will be leading this parade as their Grand Marshal 2018. On March 25, Keller will be wearing the traditional top hat, green, orange and white sash, and carrying the shillelagh down Edgemere Road and Main Street. She is from a large Montauk family of 7 kids, who grew up in the Shepherd’s Neck area. She is also the third person in her family to be a Grand Marshal. “We are part Irish, as well as other nationalities,” she said. 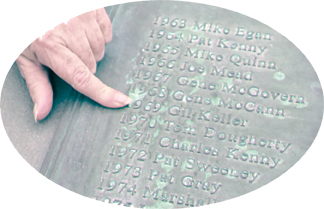 Her father, Gil Keller, was also a member of the Montauk Friends of Erin, and he was the Grand Marshal in 1969. Years later, her brother Patrick Keller followed as Grand Marshal. Kathy Keller has a son, Ryan, who lives in Montauk. Her sister, Maureen Keller, works at Gurney’s Montauk, where the Friends of Erin Cocktail Party will be held on March 24. It is the biggest fund-raiser of this group, with funds going to the parade. Keller has been involved in community activities for a long time. She taught Religious Education at St. Therese School for 7 years, and she coached biddie basketball at Montauk School for 2 years. 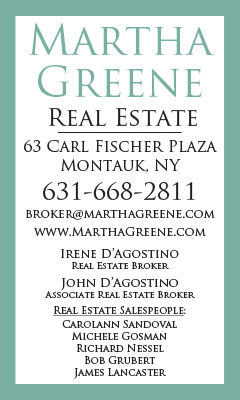 She graduated from Montauk Public School, and from East Hampton High School in the early 1970’s. From there, she attended Morrisville Agricultural & Technical College in Morrisville, NY, where she studied food science. After graduation, she moved to Idaho to work for JR Simplot, a food company, in new product development and research. Almost two years later, she came back to Montauk, and started a career in many different fields, working for Salivar’s Restaurant as a cook, waitress and bartender for 10 years; then as a manager of Ruschmeyer’s Restaurant for three years. Keller then went into banking, as a teller for Bridgehampton National Bank. After another three-year job as bookkeeper of Montauk Marine Basin, she worked in the Human Resources Department of the Town of East Hampton for 10 years. She has also worked nights in between as a cashier at Gosman’s Restaurant for the past 15 years. 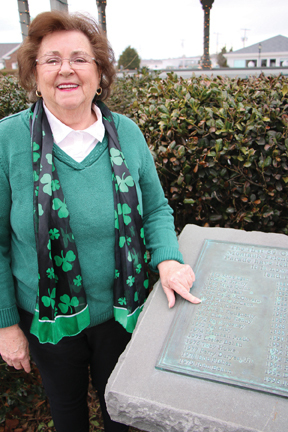 Kathy Keller looks forward to her big Irish weekend, which starts with the Grand Marshal Luncheon on Friday, March 23, at noon at the Montauk Yacht Club, and tickets can be purchased at the Montauk Laundromat (see Joan Lycke) or from any Friends of Erin member. On Saturday, March 24, The Friends of Erin Cocktail Party will once again be held at Gurney’s Montauk, from 4 pm until 8 pm, with a buffet, open bar, and dancing. Tickets can be purchased at the door, at local businesses, or from Friends of Erin members. On Sunday, March 25, the Montauk Friends of Erin St. Patrick’s Day Parade kicks off at 12 Noon from the Montauk Firehouse, through Main Street to the Montauk IGA, with about 80 contingents, floats and marching bands. 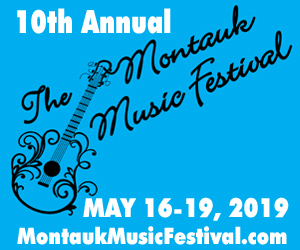 With the luck of the Irish, it promises to be another wonderful weekend in Montauk, and also the unofficial start of the new spring/summer season! !